TRANSPATH® release 2019.1 is is out now! 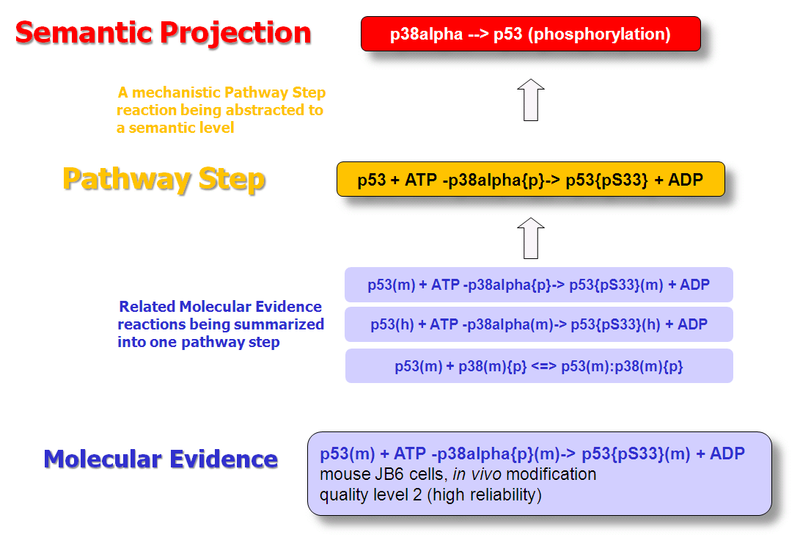 TRANSPATH® is a database of mammalian signal transduction and metabolic pathways. As one of the earliest pathway databases ever created, it has grown since to the remarkable volume of more than 458,000 manually curated reactions. Its contents can be used for pathway analysis with the geneXplain platform, requiring separate licensing (see below). TRANSPATH organizes the information about genes/molecules and reactions according to multiple hierarchies. Its sophisticated structure makes it one of the scientifically best conceptualized pathway resources, suitable for multi-purpose uses. It is complemented by one of the richest corpora of pathway data available among all public domain and commercial sources, all manually curated by experts. Individual reactions are documented with all experimental details, in a strictly mechanistic way that includes all reaction partners and the taxonomic origin of each molecule as reported in the published experiment (“molecular evidence level”). All evidences for a certain pathway step are accumulated to provide a more comprehensive and complete picture (“pathway step level”). On top, a semantic view is provided, which focuses on the key components only and omits mechanistic details as well as small abundant molecules (“semantic projection”). (b) post-translational modifications are given with their exact positions in the protein. Information about more than 298,000 molecules and more than 80,000 genes involved in signaling or metabolic pathways of mammals (mostly human, mouse, rat), gathered by manual expert curation. More than 489,000 reactions extracted from original scientific literature and evaluated by experts. About 1720 experimentally verified pathways and chains. More than 98,000 transcription factor – site interactions, manually annotated and quality-checked. More than 60,000 peer-reviewed scientific publications evaluated. 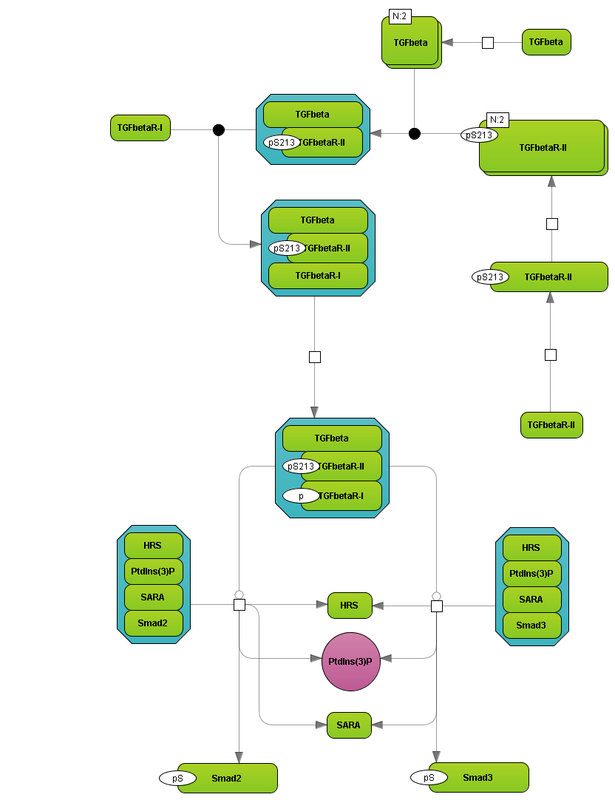 Highly customizable view of pathways and networks under the geneXplain platform. Quickly access information about signal transduction and metabolic pathway components and their reactions without tedious and time consuming literature searches. Predict potential pathways targeting the genes of your interest. Build customized regulatory and metabolic networks. Use advanced TRANSPATH®-based network visualization technology of the geneXplain platform. Learn more about pathway analysis with the geneXplain platform. 5,412 new or updated reactions detailing the interactome and substrates of human phosphatases from recent publications. 57,890 reactions have been added or updated with additional experimental evidence by incorporating the BioPlex 2.0 network of human protein interactions. Thank you very much for your interest in our programs! Please contact us and you will be provided with your free trial version. Kutumova, E.O., et al., A modular model of the apoptosis machinery, Adv. Exp. Med. Biol., 736:235-245 (2012). Ante, M., et al., Integration of gene expression data with prior knowledge for network analysis and validation, BMC Res. Notes, 4:520 (2011). Schuler, M., et al., Transcriptome analysis by GeneTrail revealed regulation of functional categories in response to alterations of iron homeostasis in Arabidopsis thaliana, BMC Plant Biol., 11:87 (2011). TRANSPATH® is a registered trademark of QIAGEN. Wingender, E., Hogan, J., Schacherer, F., Potapov, A.P., Kel-Margoulis, O. (2007) Integrating pathway data for systems pathology. In Silico Biol. 7:S17-S25. PubMed. Kel, A., Voss, N., Jauregui, R., Kel-Margoulis, O., Wingender, E. (2006) Beyond microarrays: find key transcription factors controlling signal transduction pathways. BMC Bioinformatics 7:S13. PubMed.